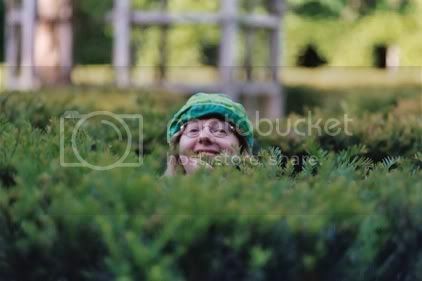 Where Heather waffles on about knitting and anything else which crosses her mind. This blog is on the move. 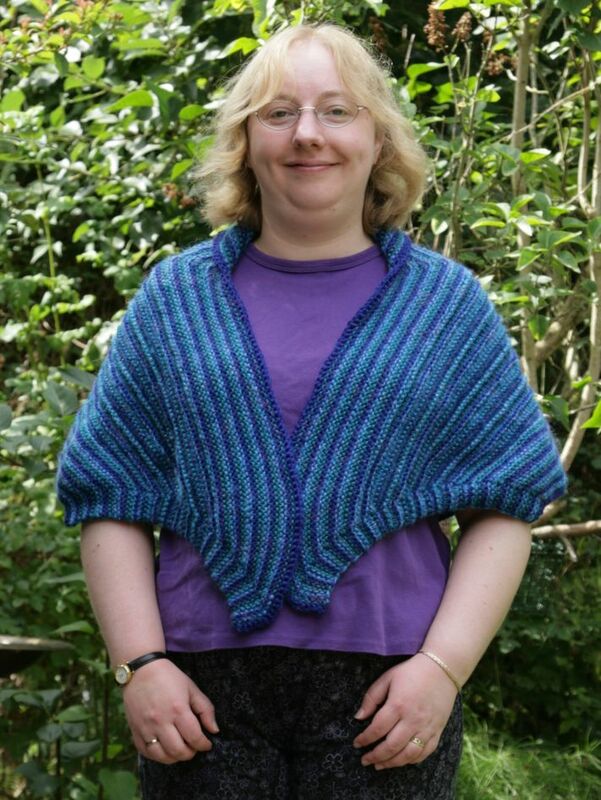 I now have a shiny new home at http://www.heatherknits.com/blog/ and look forward to seeing you there! Please update your bookmarks and add the new feed if you use something like bloglines . I don't intend to delete this blog so it will remain here as an archive, but there will be no new posts, all new posts will be over at the new blog . I was hoping to post this on Saturday but my computer has been having a bit of a moment. After spending an extended time-out on the naughty step contemplating the error of its ways, and having its hard disk defragmented 4 times (which took 2 days!) it is now a behaving itself a bit better. Surprisingly (!?) I ordered the brightest colour they had (EQ), and while I was at it a couple of balls of Trekking found its way into my shopping basket too. It was the first time I have ordered from Astrid's Dutch Obsessions and the process all went very smoothly and quickly, and she even included a little piece of cake! (just visible on the right of the picture above). I have been very restrained and haven't casted on yet, I am still plotting what exactly I am going to do. The yarn is very nice and I love the long stretches of colour. My only niggle is that it isn't the softest yarn in the world. 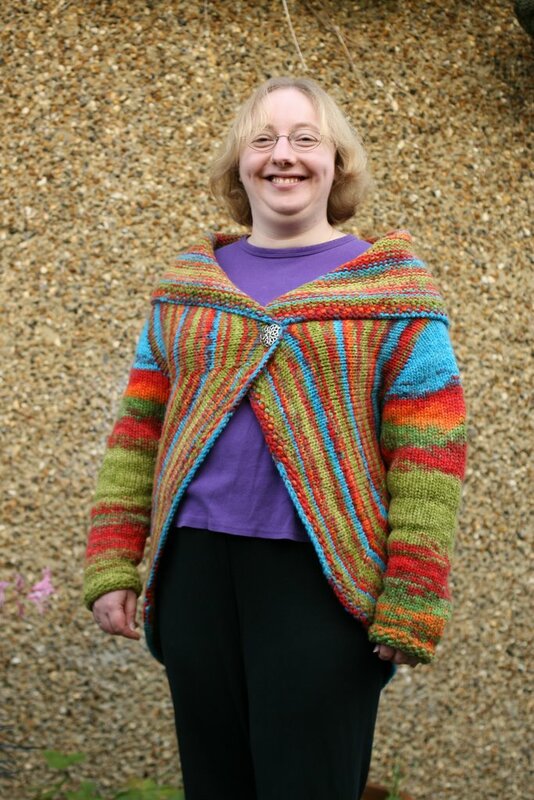 I think it will be ok, it is not that harsh, but I would love to find something in colours like this but perhaps in merino. If you have come across anything I would love to know about it! My hands are definitely getting more used to knitting together, although I am still haven't some difficulties with pulling the yarn in the left hand too tight, anyone have any suggestions? The Japanese short rows aren't too much of a pain once you get going. Also, while the pins are handy while you are starting out because they make it completely clear exactly which thread you need to pick up, I think you can dispense with them once you have got the idea. Once you have got rid of the pins it it probably less fiddly even than the wrapping method. I am going to do some more experimenting so watch this space! The two-colour hat is jogging along. It now looks much the same as before but slightly longer so I have spared you an update photograph. Instead I will share something else I have been working on. 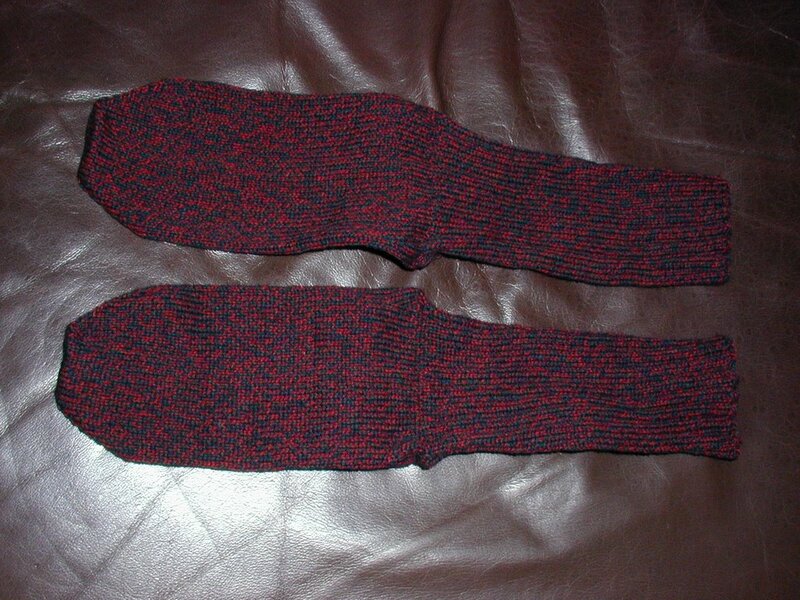 I found a great tutorial on Japanese short rows and have been doing a bit of experimenting on my latest pair of socks. I found all the safety pins a bit cumbersome but very helpful for a beginner. I'm sure that once I have practiced a few times I wont need them anymore, but it is nice to be able to clearly see which loop needs to be picked up. I definitely think I am getting a more even result than I normally do with wrapped short rows. 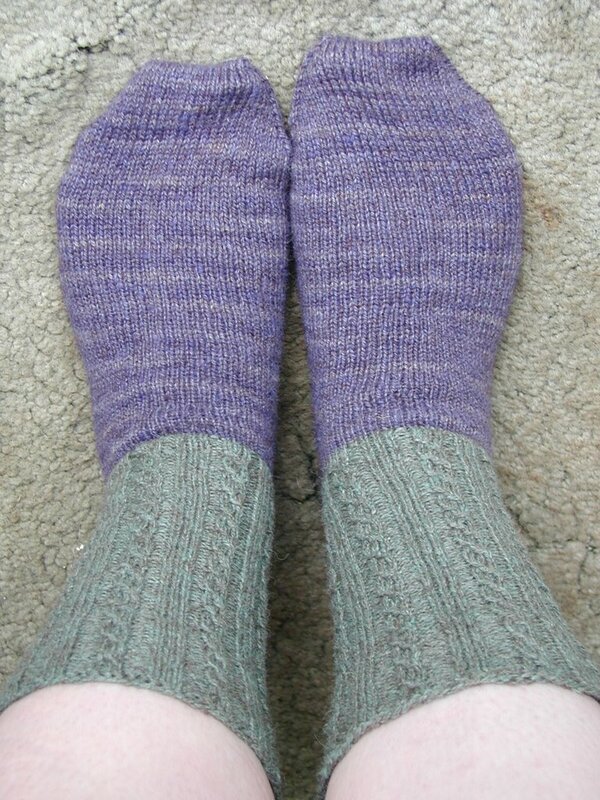 With wrapped short rows one side of the heel seems to be fine, but the other side is a bit sloppy. 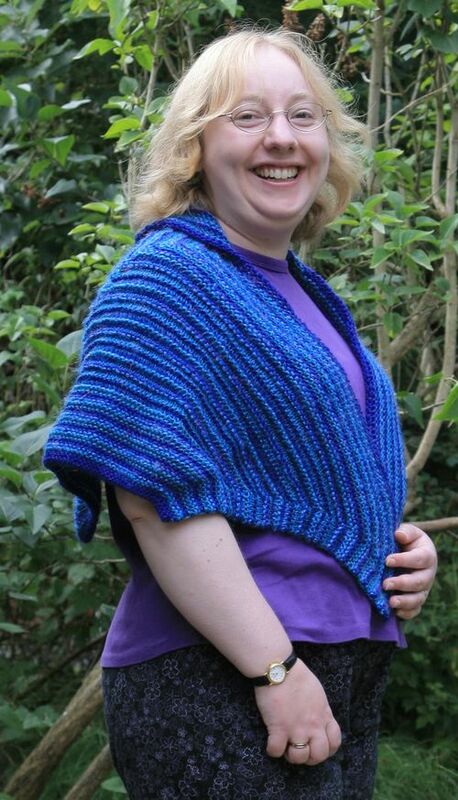 I might have a go at the yarn over short rows as well, just to compare, but so far I really like the Japanese method. 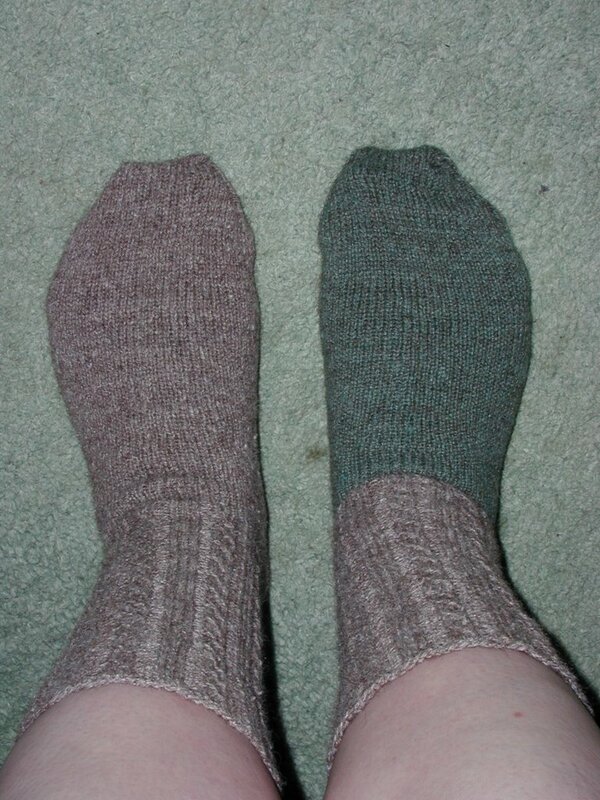 I am looking forward to trying it out on something other than socks too. 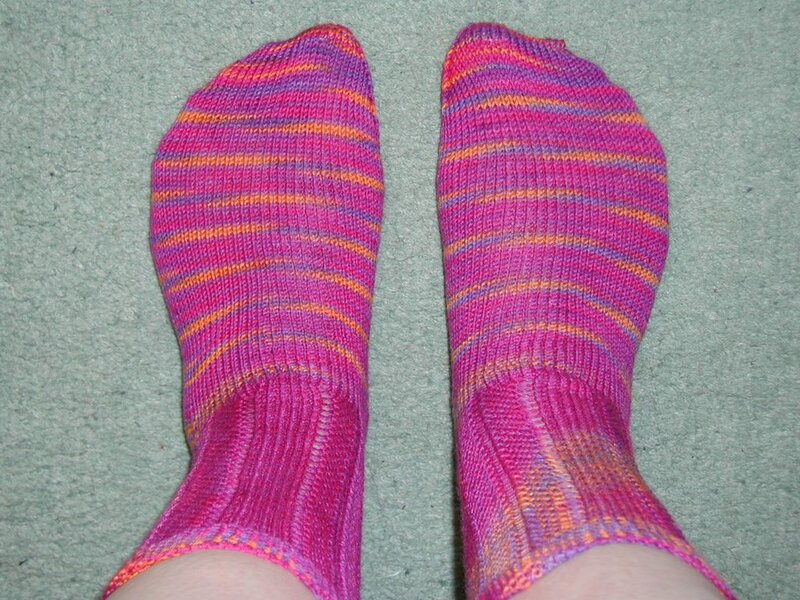 The yarn I am using is Blue Moon Fiber Arts, Socks That Rock Lightweight (100% merino) in colour Sunstone. 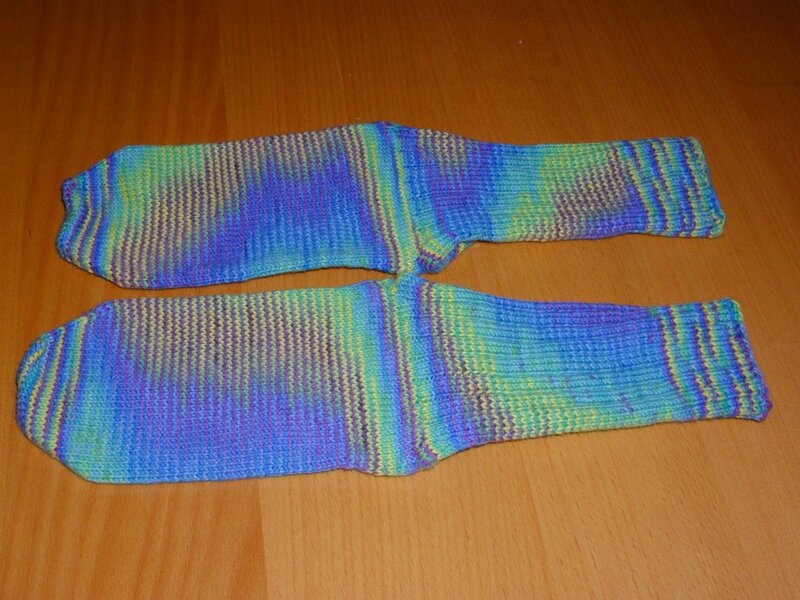 It is a really nice yarn to knit with, very soft and comfortable. Their website is very dangerous, in the process of looking looking up those links I have found two new colourways I am keen on - oh dear. Also the new Interweave Knits and Vogue Knitting magazines arrived this morning, so I am going to enjoy reading them while I eat my lunch. In celebration of all the good weather here we have been out decimating the garden this weekend. We had a large goat willow near our boundary with next door which was starting to lean on their greenhouse so on Friday a couple of tree surgeons came and removed it, and gave the Eucalyptus and the smoke bush a bit of a hair cut too. The tree surgeons were very quick and tidy, although it was rather hair-raising watching them climbing the trees with chain-saw in hand! P has also been hard at work at the weekend chopping down and pulling up some of the other rather over-grown stuff, and is now onto renovating the lawn which is currently partly bald, and partly brown and crispy. There is something so terribly British about barbecuing in the rain, so many happy childhood memories of summer holidays with iffy weather :-) It is all part of the fun really. Luckily it stopped raining and the sun came out just as the food was cooked and we had a lovely meal, beef burgers with onion and chilli made by P in rosemary rolls made by me, very yummy. We finished it all off with a trip to RHS Wisley to enjoy someone elses garden. I am practising my two-handed two colour stranded knitting. I have just about beaten my left hand into submission now and am starting to get a bit faster and more even. I thought this would be a good practice project before I launch into Alice Stamore's Henry VIII. 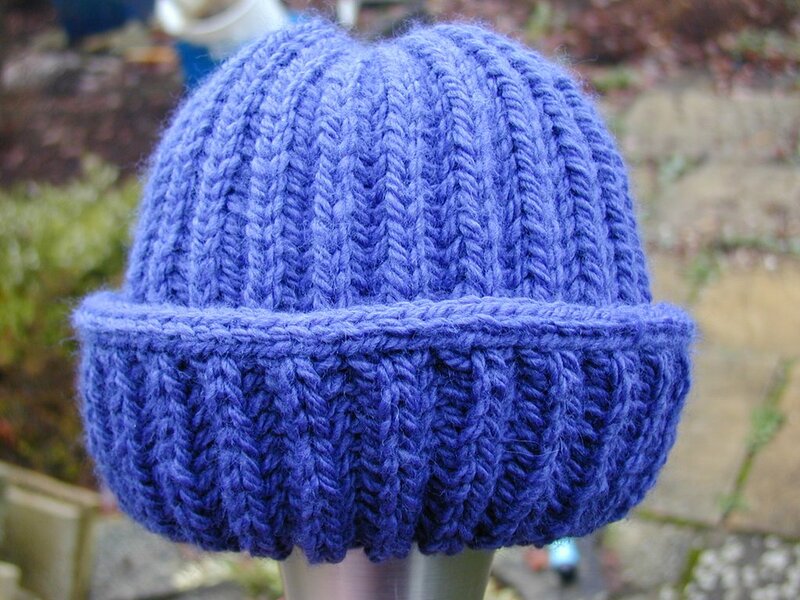 It is going to be a double layer reversible hat, but requires a bit of imagination at the moment. Thank you all for your very kind comments on the Patchwork Sweater. I will definitely look into writing the pattern up, though it may take me a while to work out the logistics of making it fit a wide variety of sizes! Finally I have finished! Hooray! I am possibly the slowest Knitting Olympian in the history of the sport but like the tortoise I got there in the end, and I am very pleased with the result. Click on the piccies as usual to make them bigger, and admire the diamonds which increase in size to shape the sleeve, I am so proud of this shaping! I'm afraid anyone who has already been shown this sweater knows that I can bore for England on the subject of increasing the diamond size to shape the sleeve. The pattern is my own and based on the modular knitting of Horst Schulz, Vivian Hoxbro, Maureen Mason-Jamieson and several others. The yarns are a couple of bargains I had in my stash. The navy background is a cotton approximately DK weight and the turquoise is an acrylic bargain cone knitted double that I picked up from Uppingham Yarns. In fact this is the cone that wont die, I have so far knitted this sweater, a scarf, a wrap, and a poncho with this yarn and I still have about half a cone left! I enjoyed the fact that this design was relatively easy to alter as you went along, although I did have a rough sketch from the beginning of how it was going to work. Perhaps this is the moment to let on to the fact that there is actually a third sleeve in the bottom of my knitting bag which didn't work out :-) A Learning Experience (TM). Another thing I loved about the modular way of working is that you can knit the diamonds in different ways depending on how many sides of the square you have knitted already. Rather like a big jigsaw. And of course the best bit is there are no seams at all. 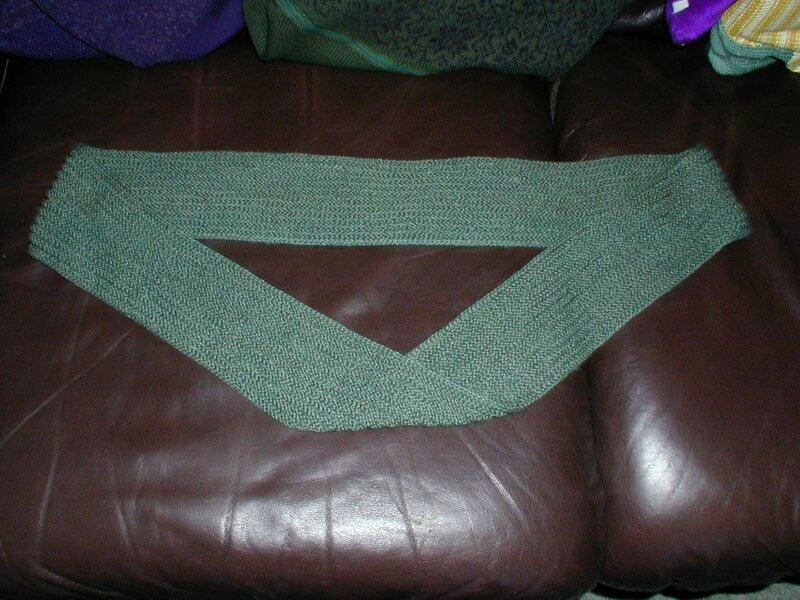 The U-shaped squares allowed me to join the sleeves into the body where the knitting is coming from two different directions at right-angles to each other. 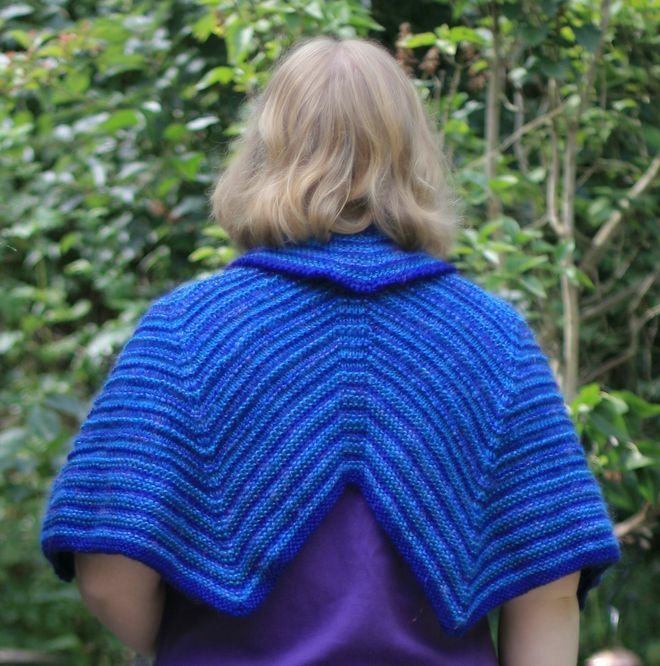 Then there are bulls-eye squares on the tops of the shoulders and under each arm (you will be pleased to know I didn't photograph my armpits) to join the whole thing together. Get Knitted is now stocking KnitPicks needles ! I have some which P brought back from his last visit to the States and I am very keen on the long sharp points and shiny surface. When I bought mine the 2.25mm and 2.75mm sizes weren't available so I think I will indulge in circulars in my missing sizes. They mentioned that they would hopefully be stocking some of the KnitPicks yarn too. 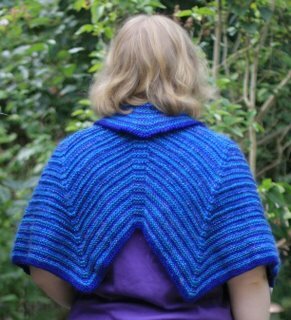 I have been having a bit of a clear-out and discovered some pictures of a wrap I made a while ago but hadn't got round to blogging about before. This is the Wave Wrap from Knitters magazine, I can't for the life of me remember which issue, but I think it was probably Spring or Summer from last year or the year before. I am in the process of organising my books and magazines but haven't come across the appropriate issue yet. The yarns are left overs I had lying around and I think are all acrylic. According to the pattern the two lower points at the back are supposed to be sewn together, but I couldn't make it lie flat when I tried that. I quite like it with the two points anyway. 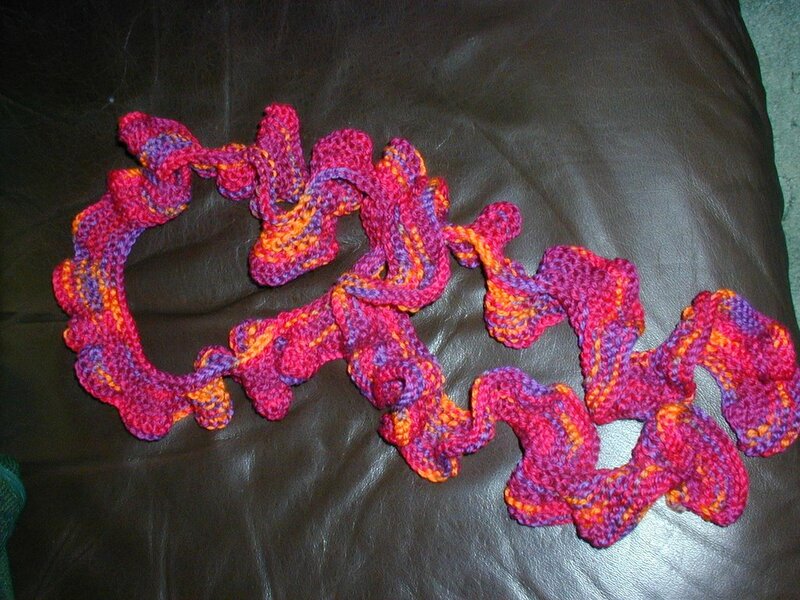 I really like the turn-back colar too, and think I will do some more experimenting with this shaping. I am still knitting here! I finished this scarf last week, just in time to hand to my mum when they were visiting (Mother, if you are reading look away now). It isn't her birthday for another week but I wanted to be able to hand it over when we saw them. 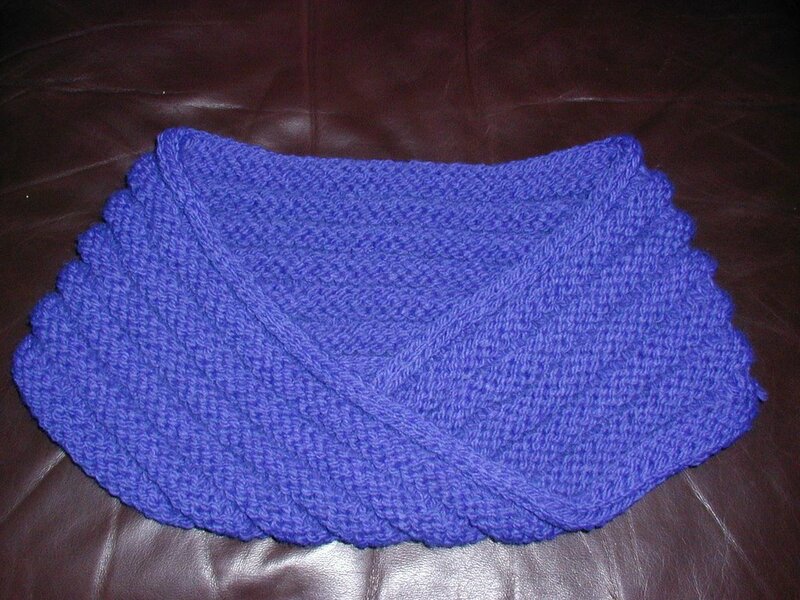 It is a pretty basic sideways knitted garter stitch scarf with self fringe. The yarn is Drops Symphony, 65% merino, 35% polyamide, and feels incredibly soft. It was in the summer sale at the InterKnit Cafe in Farnham and I couldn't resist. I hope she likes the colour. I am also doing the happy dance here because not only is it lovely and sunny today, but also our car has come back from being mended (someone drove into the back of P as he was coming home from work about 3 weeks ago - luckily he was fine just rather shaken, but the car was rather squashed). We also now have a working phone line! (the electricity company dug through our phone cable just over a month ago, but luckily they managed to miss the broadband). So a very good day is being had here - I hope you are all having such a great day too. On 2nd of June I went to a finishing workshop with Debbie Abrahams at Stash Yarns in Putney. Debbie used a sweater for a teddy as a demonstration which was a really good idea, since it enabled us to try out a wide variety of techniques in a relatively short time. For our homework we knitted up the separate pieces of the sweater, and then assembled them and worked the neckline in the class. It was a fun class and very useful, and I had a great time meeting Debbie and the other class participants. I have come away with some nifty ideas for picking up stitches around necklines without getting lumps and holes - although I think I do need to do a bit more practice! 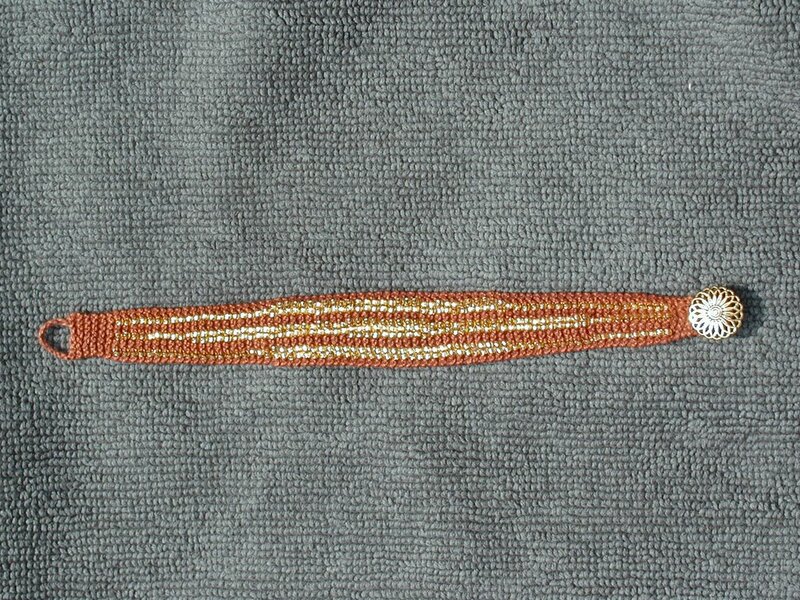 I think I am still with Lucy Neatby though on mattress stitch (she likes to go under one bar each time rather than two, although I think it depends a lot on the thickness and texture of yarn you are working with). I managed to get the neckline and one of the side seams done in the class but it then took me absolutely ages to get round to sewing the other side seam. Then it rained lots and I failed to get round to taking any pictures. Finally here it is finished! The yarn is Jaeger matchmaker merino. 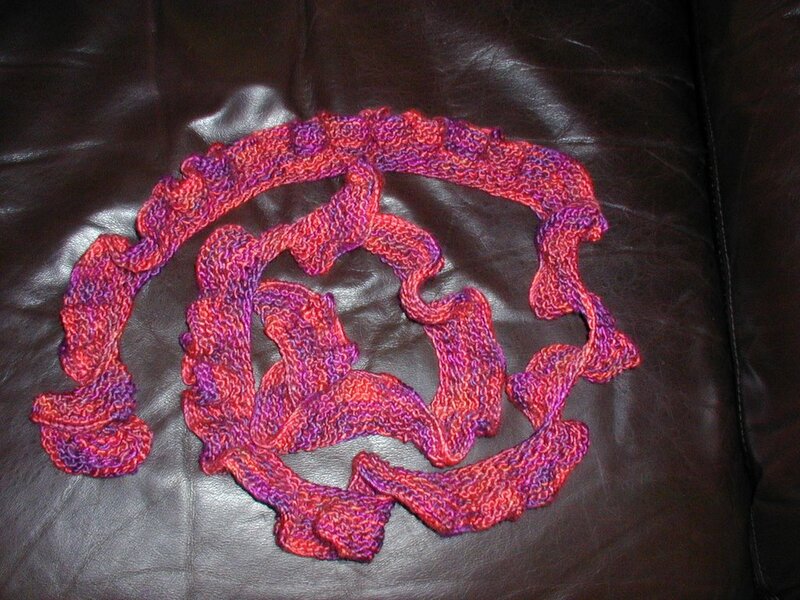 The yarn is DK weight 100% merino and is lovely to knit with and wonderfully soft. I am looking forward to getting started. Feel free to put this button link on your blog but please save it to your own server. Thank you!